Kräftskiva (Crayfish Party) – Mums! Once a year, usually in August, we invite dear friends over to celebrate Kräftskiva with us. We dress up in silly hats and bibs. We sing funny drinking songs in Swedish and drink ridiculous amounts of beer and schnapps. And most importantly, we enjoy a jolly good time around a heap of boiled crayfish. This year’s Crayfish Party, we kicked off with appetizers consisting of green pea hummus, tunnbröd rolls with cured salmon as well as crisp bread with Präst cheese and figs. The boiled crayfish, which I bought frozen, I served with a lemony potato salad with white mushrooms and young spinach, a quiche with Herrgård cheese and roasted cherry tomatoes, pickled shallots as well as bread, butter and mayonnaise. The kids had meatballs with mashed potatoes and cream sauce, instead. For dessert we had my signature carrot cake with a cream cheese frosting. 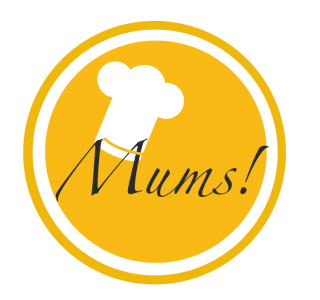 Pingback: Trio of appetizers – Mums! Pingback: Quiche with Herrgård cheese and roasted cherry tomatoes – Mums! Pingback: Pickled shallots – Mums! Pingback: Lemony potato salad with white mushrooms and young spinach – Mums! Pingback: Carrot cake – Mums!